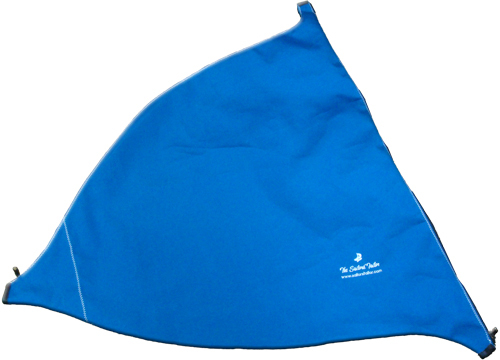 Bow Bag -- One Design Sailboat Covers -- The Sailors Tailor, Inc.
Made in Acrylic so the sail can breath. Covers, protects, and stores the jib when lowered on the deck. Zipper down the front along the forestay with snap over flap to protect the zipper. Has a loop to keep the bag tied on the deck. Adding your boat name with a monogram really enhances your boats appearance at the dock.